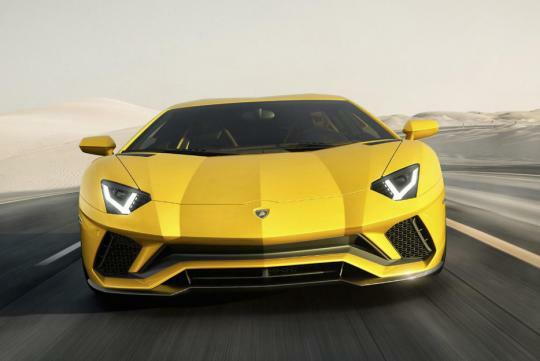 Lamborghini unveiled the Aventador S, an updated version of the firm’s flagship supercar boasting an aggressive new look, improved handling and, most important of all, more power. 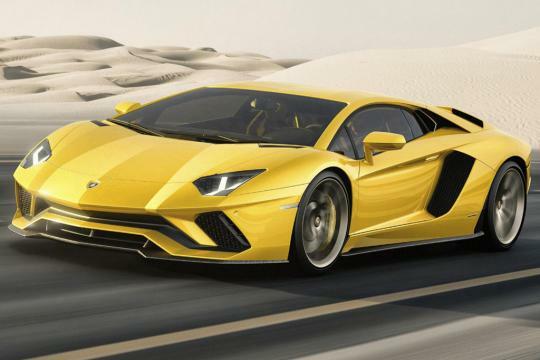 The letter S has previously been used to denote enhanced models from Lamborghini, the previous instances being some true classics like the Miura S and Countach S, and now the tradition continues with the Aventador S.
Power still comes from a 6.5-liter V-12 with cylinder deactivation technology but changes to the valve timing and the exhaust—now 20% lighter—has seen output boosted to 730hp and 509 pound-feet of torque. That’s up from 691hp previously. Peak torque is unchanged but according to Lamborghini the torque curve has been made flatter, which should lead to improved response. Finally, maximum revs has been increased from 8,350 to 8,500 rpm. Also unchanged is the Aventador’s Independent Shifting Rod (ISR) transmission. The automated manual unit has always been a bit touchy, especially at lower speeds where it can cause the car to unexpectedly lunge forward at times, and we were hopeful that this unit would receive some revisions. The 0-100km/l time and top speed remain unchanged, coming in at 2.9 seconds and 350km/h, respectively. And the car’s dry weight comes in at 1574kg. Other upgrades include the new aerodynamics, a four-wheel-steering system and magnetic dampers, the latter borrowed from the more extreme Aventador SuperVeloce. 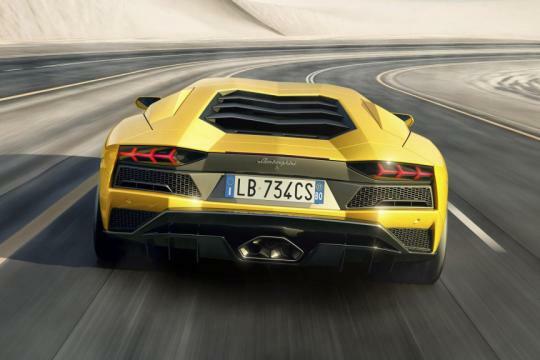 Thanks to the aerodynamic changes, front downforce has been improved by more than 130% over the current Aventador. When the car's ring wing is in its optimum position the overall efficiency at high downforce is improved by over 50%, and in a low drag setting by more than 400 percent compared to the current model. The improvements are achieved at the front primarily by the more aggressive nose and longer front splitter and at the rear by the wing and diffuser. In the chassis department, the 4-wheel-steering, the first time used on a production Lamborghini, improves agility at low and medium speeds and stability at high speeds. 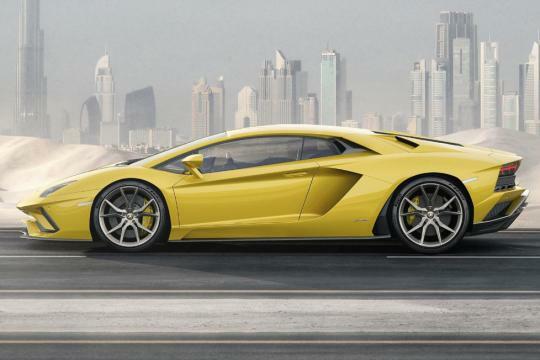 Further honing the handling are the aforementioned magnetic dampers as well as a new specially developed set of Pirelli P Zero tires that Lamborghini says have been designed for higher lateral acceleration and reduced understeer. Lamborghini also fits carbon-ceramic brake discs as standard on the Aventador S. These help bring the beast to a standstill from 100km/h in 101 feet.